Does Your Roof Have a Mold Problem? Posted on February 4, 2019 at 5:59 pm. Mold is a problem every homeowner needs to watch out for. It’s especially troubling when it grows on your roof. In addition to being an eyesore, mold can cause lasting damage. If you think you might have a mold problem, put home mold remediation on your to-do list for this year. First, it can weaken the roof, causing it to deteriorate. 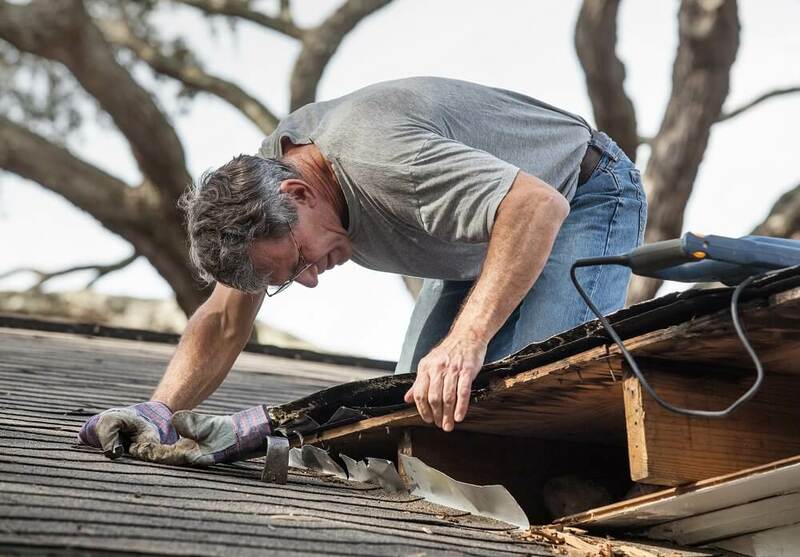 This can lead to leaks, and over time it can make your roof unsafe. Second, it can infiltrate your home or business, which may lead to health problems like respiratory issues. Needless to say, no homeowner wants to deal with all the problems caused by mold. Sadly, many people do end up leaving mold to fester, either because they don’t recognize it or don’t realize it’s a serious issue. Once mold penetrates the roof and ends up in your attic, it can quickly spread through a structure. This can make your home unhealthy and unsafe. The key to reducing the effects of mold is dealing with it quickly. Let’s look at four of the biggest questions people ask us about mold on roofs. 1. How can I recognize mold on my roof? Mold is most recognizable thanks to its blotchy black, brown, and dark green appearance. It has a slimy look to it and, if you get close enough, you’ll also notice a rancid smell. This is different from moss, which is “fuzzy” and has a characteristic forest green color. 2. What causes mold on the roof? Mold is caused by moisture deposits. Generally speaking, mold doesn’t appear on its own without cause: There’s always a deeper problem that causes it to flourish. That usually means a visible leak or a slow accumulation of moisture due to poor weatherproofing or insulation. 3. What types of surfaces are most likely to attract mold? Wood and drywall surfaces are most likely to attract mold. Many types of roof, including most modern shingle roofs, are designed to repel mold but may not be 100% immune to it. If mold is a big concern, the best way to prevent it at the source is to get a metal roof that is totally mold-proof. 4. Can I remove mold from my roof myself? A 50/50 water and bleach solution can be used to remove mold, mildew, and algae from your roof or other areas of your home. In general, though, you’re always better off getting a qualified (and licensed/insured!) roofing contractor to do the job. Mold is highly resilient and it takes lots of effort to make sure it’s completely eradicated. It can also be hiding in places that aren’t visible to the untrained eye. If you don’t get all the mold, it will gradually grow back. Then you’ll be back at square one. Time for Home Mold Remediation? If you suspect mold, call for help right away. When caught early on, it’s usually just a minor inconvenience. If you wait, however, you could find yourself chasing it all over the house. Worried about mold on your roof or somewhere else in your home? We’re here to help. Give us a call today. Guest post provided by Longhorn Roofing, proudly serving Austin, TX.